The Addison is a charming yet modernized ranch that will draw you in with details from the moment you step foot inside. A SPIN-OFF OF OUR POPULAR BROOKSIDE MODEL! Life Homes is proud to present the Brookside X, a spin-off of our popular Brookside model. Features an open kitchen and expansive Great Room. At 3,422 square feet, this 2-story home is setup with the family in mind. Enjoy this unique ranch with an open concept living space with the kitchen overlooking a dining room and This one-of-a-kind split bedroom ranch has unique details inside and out. 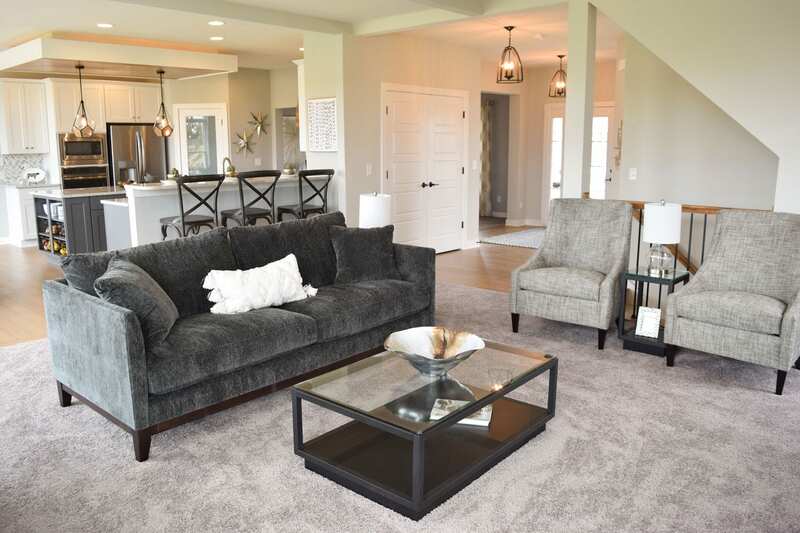 OUR PARADE OF HOMES 2018 MODEL! Elegant stonework coupled with warm exterior colors wrap around this beautiful two-story home. The Cambridge is a beautiful 4 bedroom, 2.5 bath home that includes an open kitchen with a gorgeous granite island to prep all your home cooked meals. Enjoy this unique ranch with an open concept living space with the kitchen overlooking a dining room and beautiful great room! We have been helping homeowners build their dreams since the 1950’s. Our team is committed to quality, craftsmanship, and customization.